Make toothpicks easily available to your customers by storing them in the Crestware CTDACR Acrylic Toothpick Dispenser. Perfect for restaurants, diners, and other food service venues, this toothpick container is designed to dispense one unwrapped toothpick at a time. Designed with convenience in mind, this toothpick dispenser has a clear surface and easy-lift top for fast and convenient refilling. 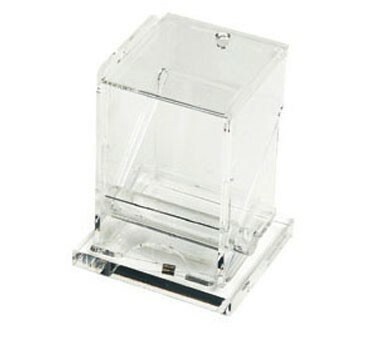 Thanks to its durable acrylic construction, this toothpick dispenser is easy to clean and will withstand years of use.